It was a great feeling to see the whole Ladakh valley up from the flight. It was as if the whole aircraft was entering a snow capped dreamland. Huge valleys white-washed with snow and frozen rivers cutting through them. As we landed at the Kushok Bakula Rimpochhe Airport at Leh, there began our journey in the cold desert of the Ladakh valley. 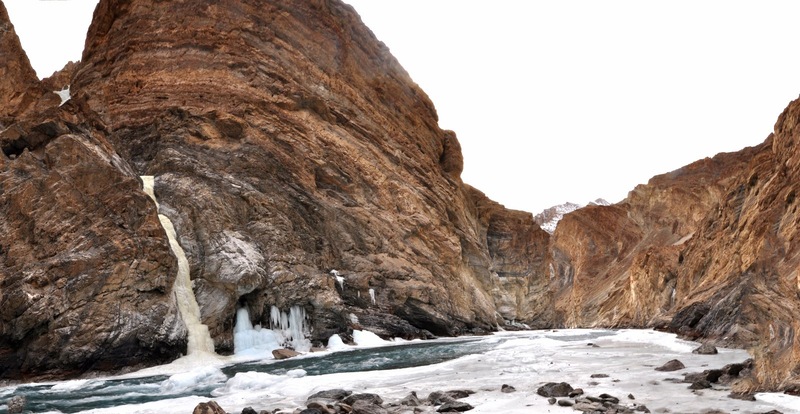 We transported ourselves to the point where river Indus meets with Zanskar and there began our trek on the frozen Zanskar and our journey into the wider Zanskar valleys. Wintered river, gorgeously frozen still, carries the river underneath cutting through the wider walls of the gorge. 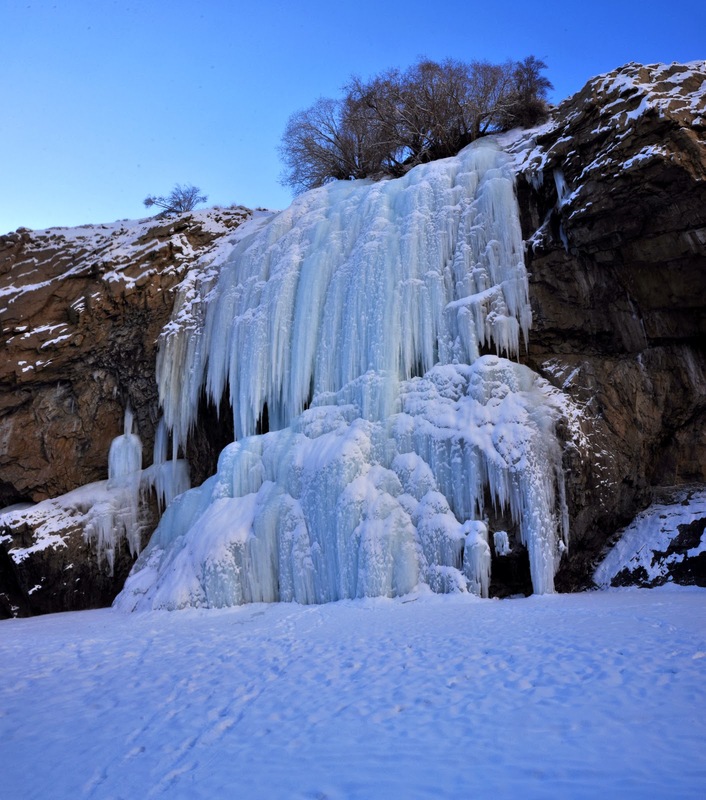 Every waterfall stands still and every drop of water freezes to form a layer of Chadar. Words may not justify the views and photographs may not justify the feel from the place. So let me not say any more about what I witnessed; and let these photographs from the valley do the job. Snow fall makes everything look beautiful. At Nerak campsite, this was the sight early in the morning. Superb photographs of the mountain range and the river valleys. Light and shade effects are outstanding throughout. The near U-turn or as they say hairpin bend of Zanskar River at Shingra Koma is splendid. Photogrphs are splendid! Makes the scenery look alive..great work. Very beautiful….No words to describe..